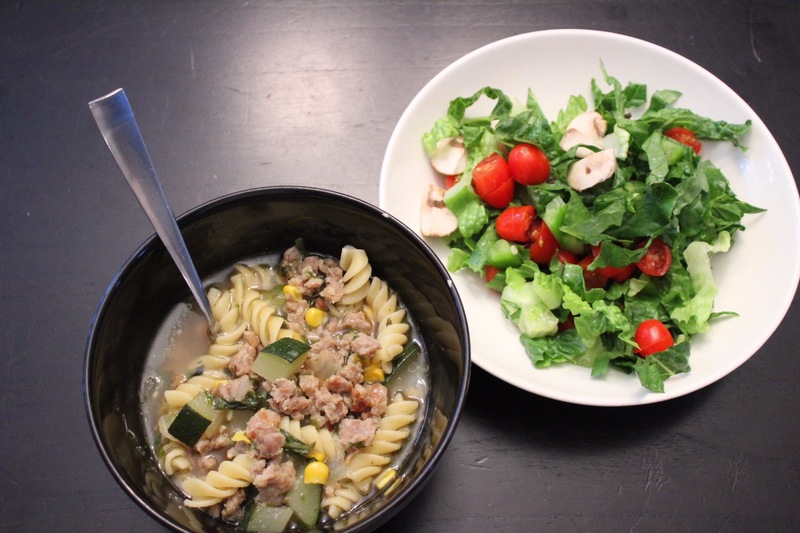 Soup is always a perfect meal for a rainy day, even if it’s summertime! We had a rainy day this past weekend and while to come up with something easy and delicious for dinner, I settled on soup. 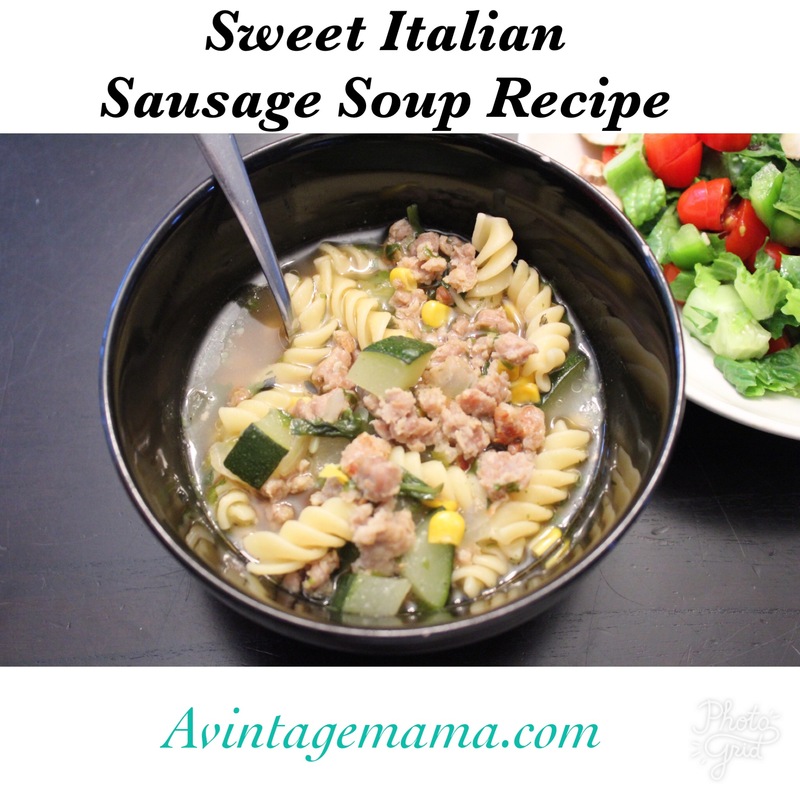 Here is one of my favorite recipes. You can really switch out a lot of the veggies for ones you happen to have in your house. This is what I happened to have on hand and the soup came out great! I will definitely be making more of this soup in the upcoming months as the weather gets colder! 1. 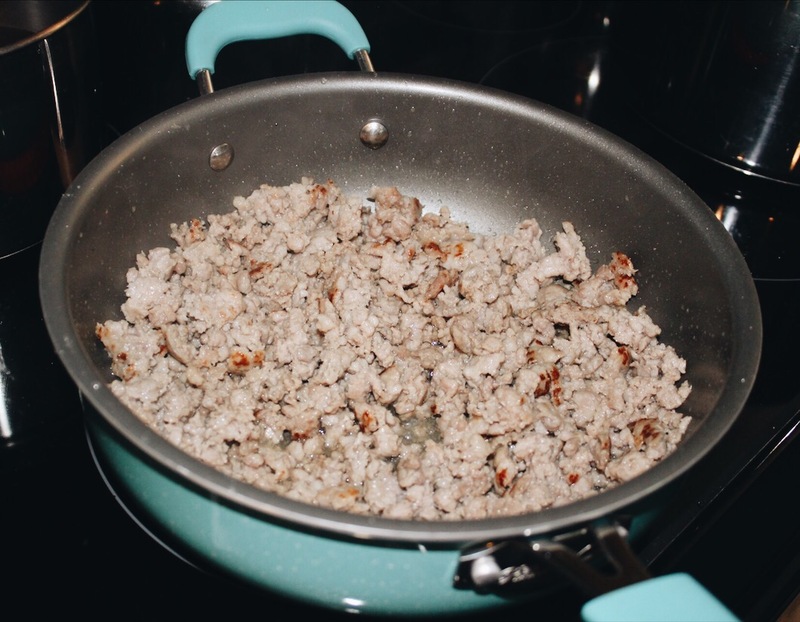 Cook sausage on med heat in a medium/large pan. (I used this pan by Pinoneer Woman). Drain fat. 2. 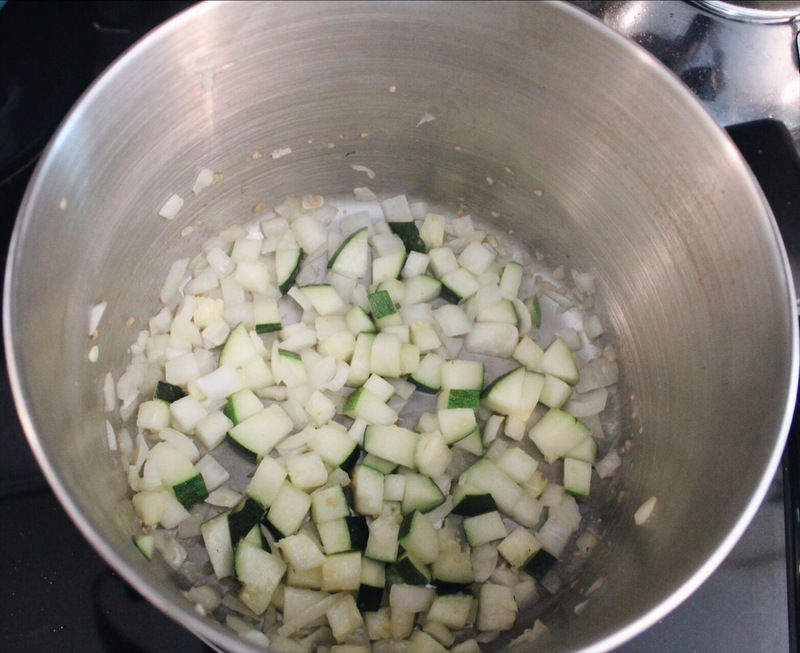 In a large stock pot, place a tablespoon of butter on med heat, add zucchini, and onion and cook until tender. (You can also add carrots as well, I just didn’t have any on hand. Once tender add minced garlic and corn. 4. Broth can now be added along with the thyme, parsley, and garlic powder. Bring to light boil. 5. Add pasta and spinach. Cook until pasta is tender, then serve. Goes great with a nice garden-fresh salad! 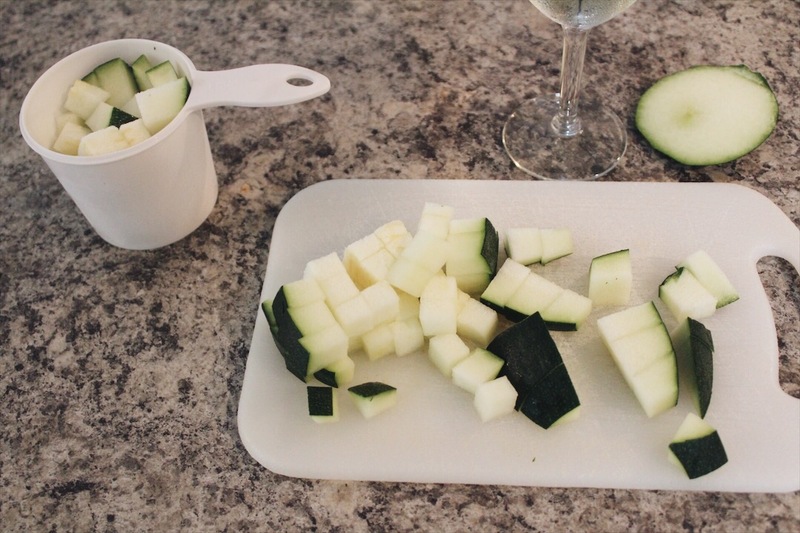 I hope you enjoy this recipe, please let me know what you think!